To many Musical.ly supporters, a crown is the Holy Grail. Musical.ly only awards them to the best of the best. Holders of Musical.ly crowns are the real influencers of Musical.ly. But how you get a crown on Musical.ly is not at all clear. They appear shrouded in secrecy and rarely referred in the official sections of the site. Indeed, the only mention of crowns in the FAQ section of Muscial.ly is when they tell you to ignore any sites that offer you easy ways to earn a crown. Musical.ly advises their followers not to be fooled by any of the sites providing hints and tricks of easy ways to pick up a crown. They warn that these sites are traps designed to pry your personal details from you. It is true that the bulk of the search results for “How do you get a crown on Musical.ly” do indeed lead to similar-sounding websites and apps, offering easy ways to scam yourself a crown on Musical.ly. You can’t claim you haven’t been warned, though. 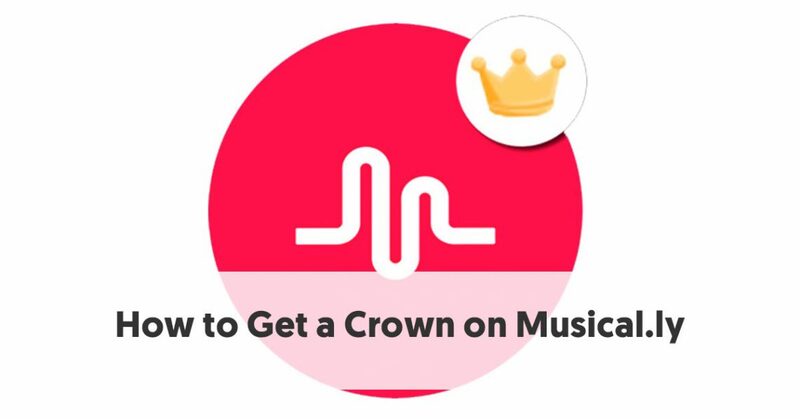 What is a Crown on Musical.ly? When Will I Gain My Muscial.ly Crown? From this, we can gather that Musical.ly awards crowns to their best users. They use a range of criteria that vary depending on the situation. In simple terms, they award crowns to people they consider to be influential. Certainly, most of the Musical.ly superstars we profiled in Top 20 Musical.ly Influencers Who Have Built Small Media Empires for Themselves proudly display crowns at the top of their profile portraits. Forget all about those scam web pages offering easy ways to get a crown. The only genuine way to earn a crown on Musical.ly is to be good – very good. There may not be exact numerical criteria you have to meet, but Musciall.ly clear rewards quality. So what can you do to improve the quality of your Muscial.ly account? Only the superstars earn crowns. So you need to build your account up to superstar status. For a start, you can’t just interact randomly on Musical.ly. You will never win great support by randomly posting a video whenever you feel like it. Musical.ly fandom operates in much the same way as YouTube followers and popular blog supporters. People navigate their way to content that entertains or interests them. They take little interest in mundane, dull, everyday material. If you are like the average Musical.ly teen (called a muser) you will probably be happy to upload a few videos where you lip-sync to your favorite artist. A few of your friends will take an interest, but that is as much notice that your lip synch videos are likely to get. Even you probably spend more time watching videos uploaded by better-known musers, because you find them fun. If you want to have a crown, you have to be one of those better-known musers with the fun, quality videos. There has been one significant change in Musical.ly over the last couple of years. It no longer just relies on people uploading music videos. People upload a full range of video types now – much the same as YouTube. This means that you can still become a Muscial.ly star even if you can’t sing a note or dance a step. You merely need to build a reputation for some other type of video – something which you are skillful or knowledgeable about. The better your videos, and the more you interact with your fans, the more popular your videos will become. The average muser takes a quick video using his or her smartphone and uploads it. She doesn’t really think about video quality. She merely films and uploads. But if you want to stand out you should work on improving your video values. Alright, you might not be the next Steven Spielberg or Peter Jackson, but it would help if you researched some of the technologies they use. You won't, of course, have a Hollywood budget, but you need to get the basics right. Perhaps the most important thing to note on Musical.ly is that your videos should be presented in a vertical format – the opposite to how we see movies on television or at the cinema. It doesn’t matter if you can’t afford professional cameras, your smartphone will usually do. But if you do have access to a better camera, use it. Probably the best two items you could invest in are a tripod to keep your camera steady and some form of external microphone. If you choose to make, music (or dancing) videos make sure that you learn the rhythm and lyrics. Muscial.ly followers are not too critical of musical failure (they often feel they couldn’t perform better), but you are not going to rise to the top with them. Similarly, it is probably worth testing out your comedy routines with friends first, to check that they find them funny, before you try them on a live audience, during a Live.ly performance. Research other people who make videos of your type – particularly those who perform well. 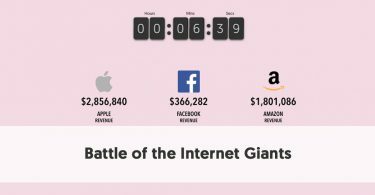 What kinds of video are most loved? Which types of videos regularly pop up on the Featured List? Of course, you may discover that none do. Musical.ly’s 11-23-year-old userbase may not be as keen on your video genre as you are. If that is the case, and you are determined to win a Musical.ly crown, you may need to rethink your video-production strategy. Assuming you find similar videos on the Featured list, take note of the types of things these filmmakers do. Are the videos of a certain length? Do they cover the topic in a particular way? Do the filmmakers use certain camera tricks or filming techniques? Do they use professional gear, or do the videos apparently look like they were shot using a smartphone? Once you've analyzed the videos yourself. You will want to look at the musers who create them. Do they do anything special to promote their videos? Do they tie in their videos with their other channels, possibly cross-promoting? Do they use tags cleverly? One point that people have noticed is that bright, cheerful videos perform better on Muscial.ly than dark, brooding ones. Maybe this is because Muscial.ly is a youthful network, that prefers optimism and happiness over brooding drama or art-school photography. Some of the most popular videos show teens dancing happily in everyday locations. Twin brothers, Lucas and Marcus (@dobretwins) gained their highest views for a video where they dance to a song in the middle of a supermarket. In some ways, this could be considered gaming the system, but really it is just doing your homework to keep up with the latest trends. Take a close look at what hashtags are popular at the moment, both on Muscial.ly and the other visual networks like YouTube and Instagram. 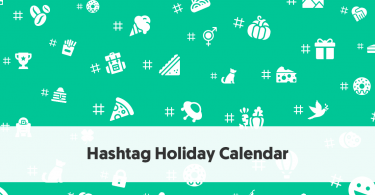 You could produce videos that relate to current, popular hashtags, and use them in your captions. This is an excellent way of pushing you videos before a broader audience. If they are of sufficient quality is is a superior method of increasing your following. Sometimes people make viral challenges using hashtags. This is the ideal opportunity for you to make a video which you can place in front of many people. 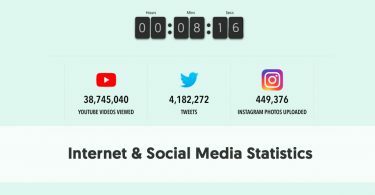 Many believe that the most significant reason for Musical.ly’s recent success has been its introduction of its live video streaming platform – Live.ly. It certainly brought a whole new way to become a Musical.ly superstar. Alright, Lively.ly is probably an introvert’s worst nightmare. But it is also a means for fans to feel closer to their heroes. Imagine if Live.ly was invented a decade earlier and if Justin Bieber had become established there. All of the Beliebers would really think that they were part of Justin’s life. If you want to be a Musical.ly star, and earn that coveted crown, you need to set up a regular Lively.schedule. This is another case where you should undertake market research first. What is it that your fans would like to see you do during a Livel.ly performance? Also, it will be easier to demonstrate your expertise on Lively.ly in some niche topics than in others. If you are a competent musician, you can perform live. Likewise, if it is superb for anybody who is confident telling jokes or performing stand-up comedy. It may be more difficult if you are a sports star – you may have to be creative in what you can show. Similarly, if you make your name making prank videos, you take a terrible risk trying to do these live. In those more awkward fields, you could consider using your Livel.ly slots to get to know your fans better. You could perhaps do live Q and A sessions, or make callouts to selected fans. I may have left this until the last point, but it is not something you would delay until the end. To be a famous muser, you need to be social. Musical.ly is a social network. It is not just a passive repository in which you can store your videos. You need to continually be meeting, commenting on, and reacting to your fellow musers. In fact, you should be focusing on this from your first day on the network. You should try to be yourself and make friends along the way. Musical.ly’s current followers love it because it does not seem to encourage the negative trolls who often ruin things on some other channels. From your first day on the site, you should be looking at other people’s videos and following their channels. At the same time, you should, of course, encourage them to take a look at what you have to offer. This is a question with an unknown answer? Musical.ly is very vague about the requirements for earning a crown. At some point, if you perform well enough, generate enough fans, and are share enough times, Musical.ly might choose to give you a crown. Only Musical.ly knows how much “enough” is, however. All you need to do is to keep trying until you reach that magical, intangible, unknown stage.